Tony T. Smith is committed to ensuring Nevada's veterans and active duty members of our military receive an Honest Deal. 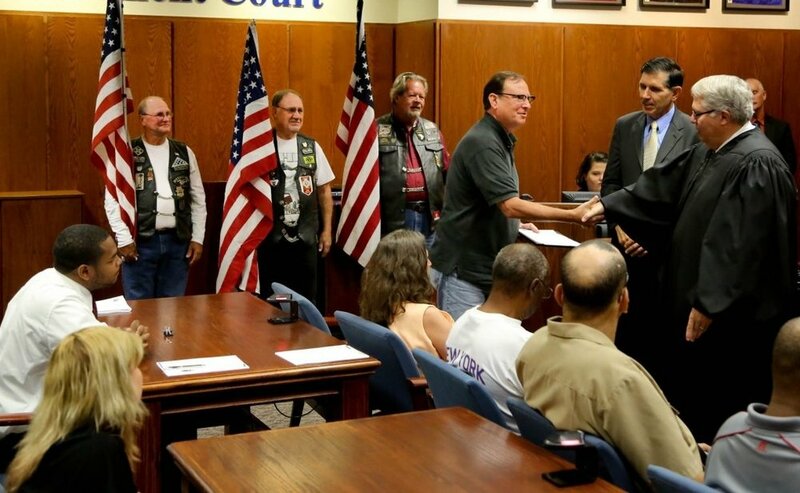 Tony proposes expanding funding for the Nevada Office of Military Assistance to provide free legal services to veterans and active duty military. He also will fight to expand programs offered by the Nevada Department of Veteran's Services to facilitate entrepreneurship opportunities for veterans. Finally, Tony will push to update Nevada's custody laws to account for the effects of PTSD on those that have served our country to ensure our State's veterans can maintain strong bonds with their children. The Nevada Office of Military Assistance is tasked with providing pro bono legal services to veterans and active duty military. However, the Office of Military Assistance is grossly underfunded, receiving under $400,000 per year in funding. Tony will fight to expand funding for this critical office to ensure Nevada's veterans and active duty military have access to legal advice so they can protect their rights while they are defending ours. Tony will fight to upgrade the Nevada Department of Veteran Services to meet the needs of Nevada's veterans, especially those returning from combat. Tony wants to mirror initiatives from other states designed to facilitate entrepreneurship among Nevada's veterans. He also will fight to create a program through the Department of Veteran Services to provide affordable and quality mental healthcare for Nevada's veterans. Too often during his time practicing family law, Tony witnessed veterans being deprived of a meaningful relationship with their children due to the effects of combat-related PTSD suffered in the service of our country. Tony wants to modify Nevada's custody laws to correct this injustice so that our veterans are not deprived of their right to a relationship with their children.